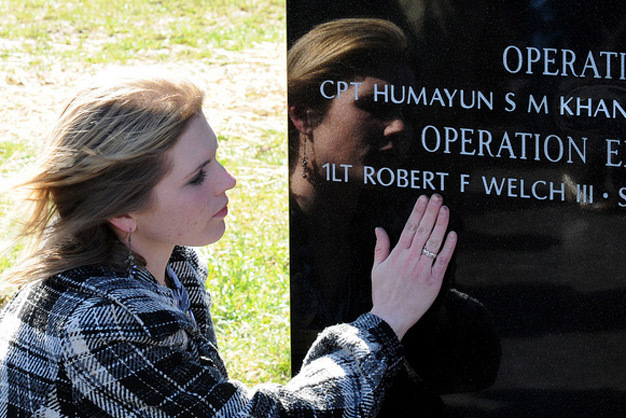 Becky Welch, widow of 1st Lt. Robert F. Welch, takes a moment to remember at the Memorial Dedication and Fallen Hero Ceremony, on March 9, 2012. 1st Lt. Welch died last year from wounds suffered in a rocket attack at Forward Operating Base Salerno, Afghanistan. US Army photo by Staff Sgt. John Zumer, 3/1 BCT Public Affairs.